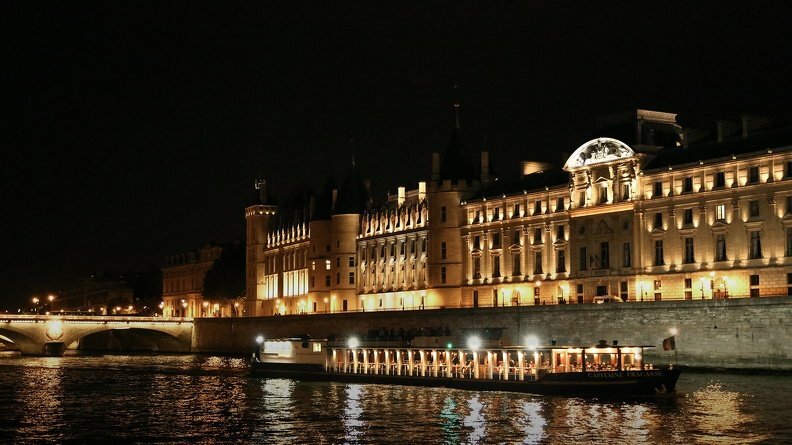 A panoramic cruise on the Seine river The Capitaine Fracasse is a perfect example of what Parisian boats should be. You simply have to be charmed by a cruise on board this boat with a panoramic view of the most beautiful monuments of the city. But it really would not be a good idea to compare Capitaine Fracasse with a mere Bateau Mouche ! Above its panoramic qualities, this boat offers its guests a true gourmet meal, without comparing of course with the best tables of Paris, but it will no doubt satisfy all those who love good cuisine. The Capitaine Fracasse, to make a difference with others has chosen refined cuisine of good quality to attract tourists along with young married couples or companies out for dinner, for everyone’s greatest pleasure.